Task: to create an advertising campaign for a clothes finding service. The Wardrobe section of the Yandex.Market website collects information about millions of brand clothing items available in online and offline stores in Russia. 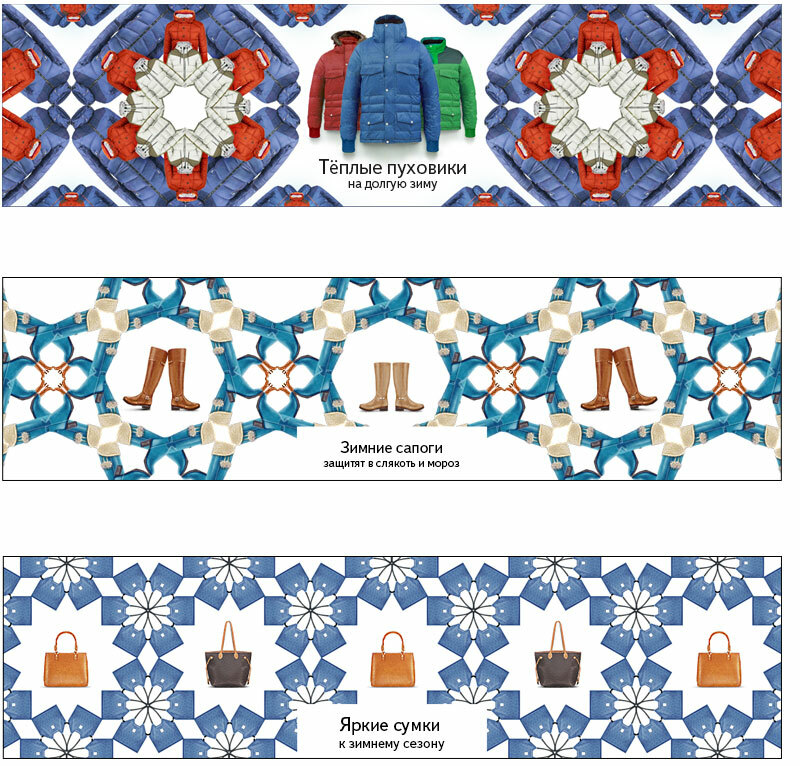 New campaign materials demonstrate the multitude of offers with kaleidoscope patterns. Teaser ads display individual items to attract viewers’ attention to different sections.